Estimated Interior Decor Ideas for Your Home. Not everyone can spend big, when it comes to decorating their living room, dining room and bedroom. That does not mean that you give up or settle for the second best . Upgrading your interiors or improving your style quotient of your house is not always linked to the amount of cash you spend. Some important tips and hacks for styling a home, if you on a tight budget. 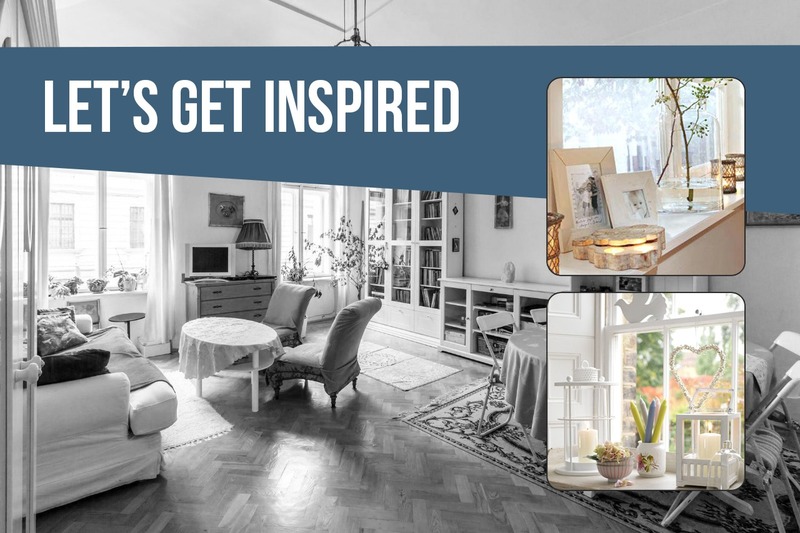 Painting the entire interior of a house can transform it from mundane to inspiring! The colour of the walls, door, windows, and furniture is detrimental to the overall look of a home. You can colour coordinate you interiors to your walls in an imaginative way and create new designs. If you are short on cash but ready to invest some efforts, then painting it yourself can give your home a wonderful makeover. You can make a statement with a feature wall or paint one of the rooms in an intense shade to show your personal style. Today, markets are flooded with LEDs which are not only cost effective to run but also quite gorgeous to look at. A bedroom is your personal space, where you spend most of your time. . To upgrade it, invest in some amazing colour coordinated bed sheets Duvets, matching curtains and a decent detachable headboard to create a fantastic effect in the room. Windows are the focal point of a room. Adding roller blind or highlighting them with matching curtains is a great way to enhance the look of your windows. Choose patterns and colour as a preference. You can add mirrors for managing light in a room. Mixing and matching different styles of the mirror in a room provides it with an elegant look. You do not have to invest in pricey paintings to hang on walls if you have your own art collection of mirrors. Just like your rooms, you can give your furniture a makeover by adding new designs and patterns. Bring out the artist in you and decorate your furniture by sticking creative decals available online.